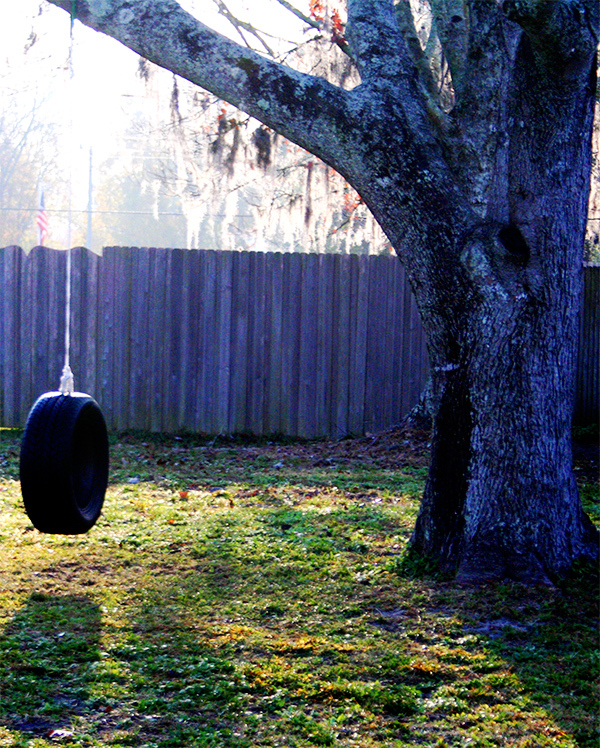 I just couldn’t resist a few moments of swinging in our tire swing after I dropped the kids off at school this morning. The fog was beginning to clear and there was a magical feel about the air. Almost as if the gnomes and fairies were still around. Magical times are very rare, enjoy while you can.